Whether beginner or league professional – we have the proper game for everyone. Take advantage of the sympathetic TIPP-KICK players as an advertising medium for your company. The best-selling standard version: affordable and compact. Star-Kicker Qatar in target practice box with sound module. Star-Kicker with instep kicking leg in the jersey of the national team of Panama. 5 mounting stoppers for felt pitches with bordering. Sound chip with the melody of the German national anthem for the match timer. Star-Kicker Germany in target practice box with sound module. Whether you’re young or old – TIPP-KICK is fun for everyone. Unfortunately your web browser does not support the HTML5 video element. You can download the video alternatively. 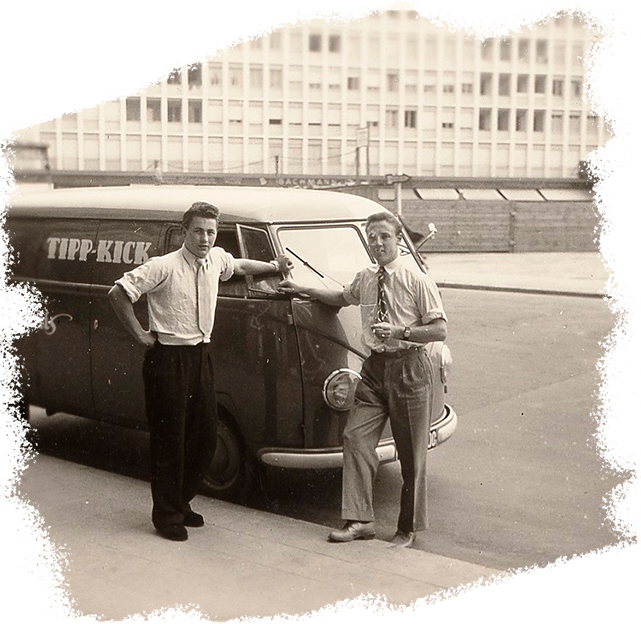 TIPP-KICK® has been drawing people in since it was invented in 1924. This well known brand, with the red button on the figures and the distinctive corners, from the company Mieg, the small family company from the Black Forest.